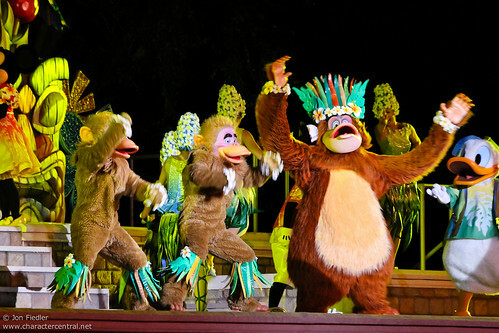 Move It, Shake It, Celebrate It! 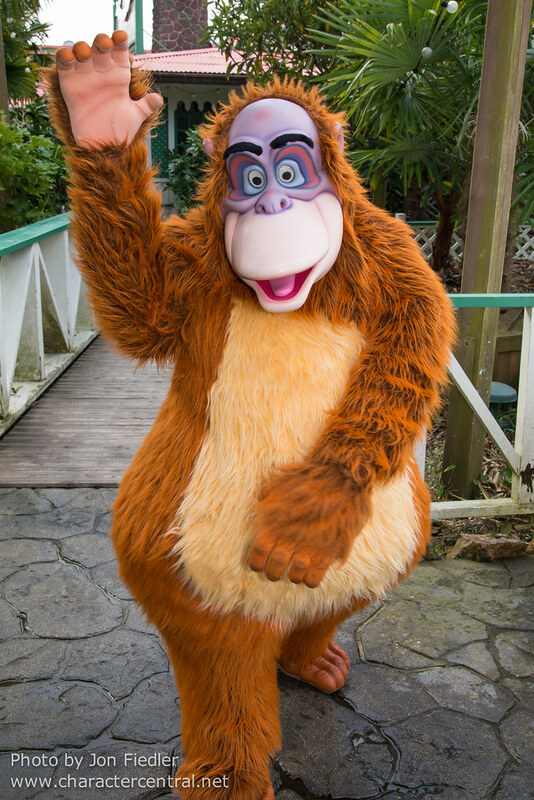 In Disneyland Paris he can often be found in Adventureland. 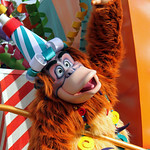 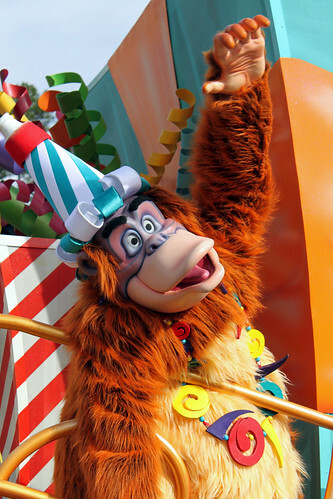 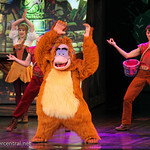 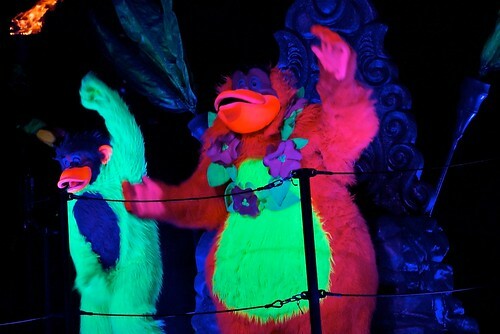 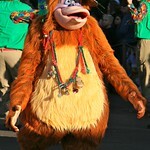 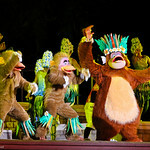 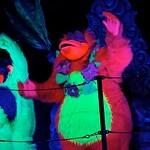 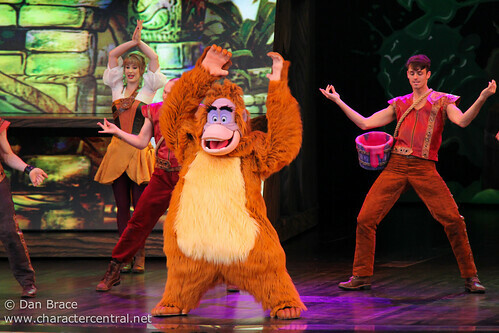 In Tokyo Disneyland he can sometimes be found in Adventureland along with several of his Monkey Pals. 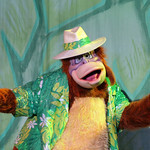 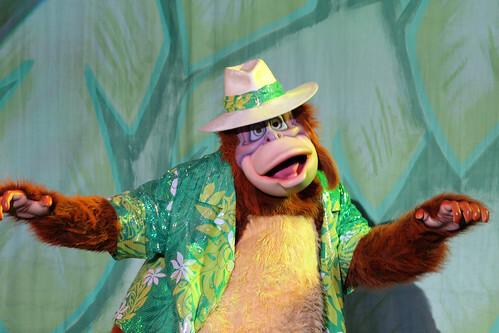 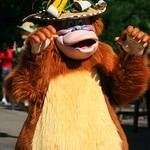 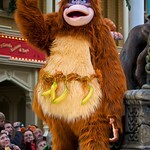 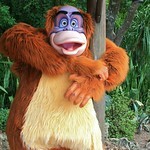 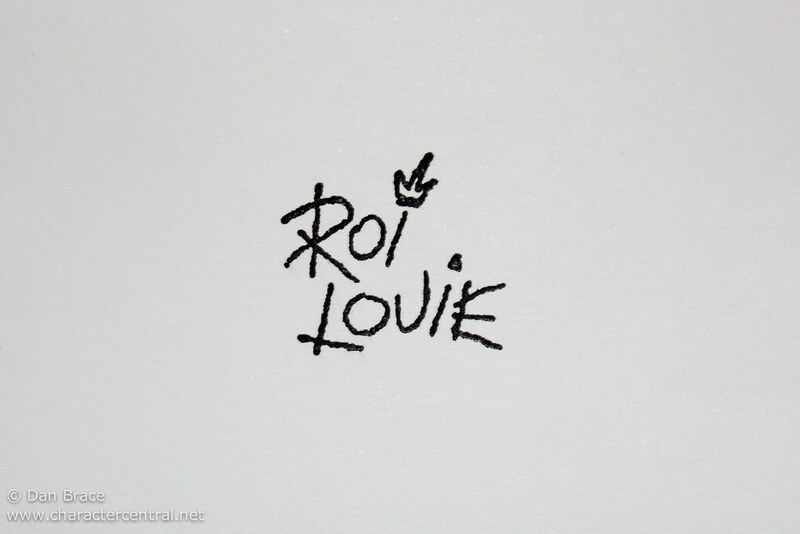 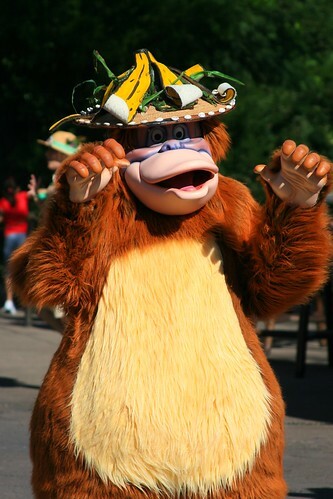 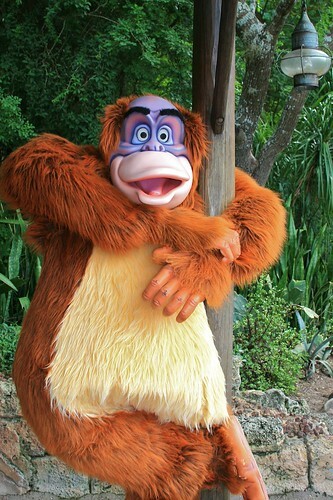 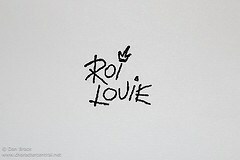 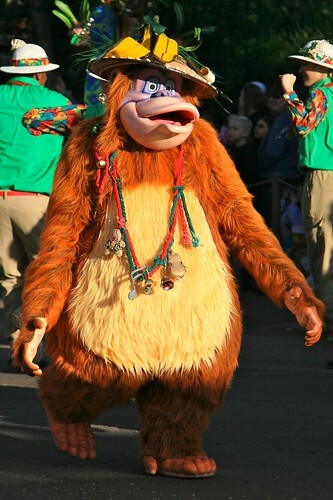 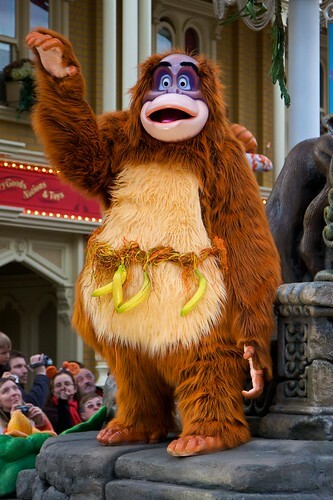 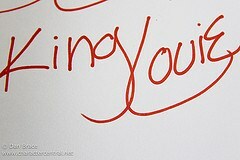 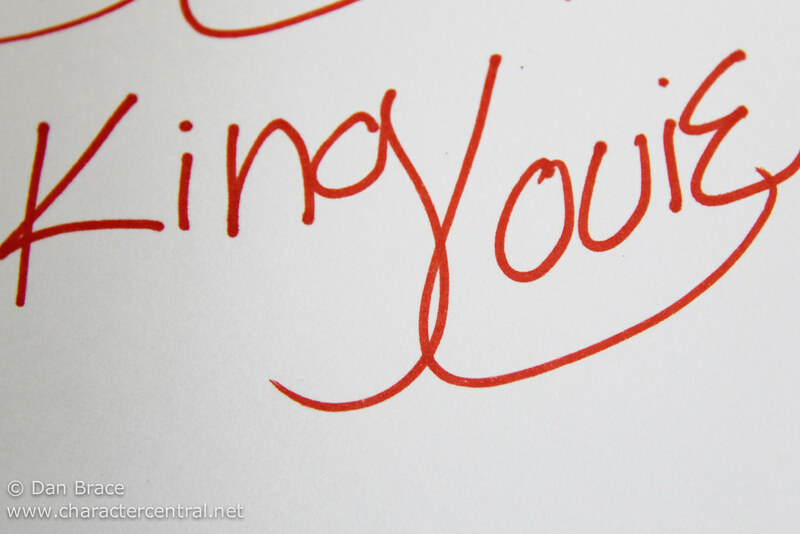 King Louie does not appear in California, Hong Kong, or on the Cruise Line.